How do I return items from my purchase? Is my personal information secure when ordering from Christian Apparel Shop? How do I redeem my Gift Card or use a Promotional Code? I have a t shirt or another item I would like to sell, would you carry my item? Q: How do I exchange an item I purchased? What item you would like in exchange. If this is a clothing item, please include the SKU & size you would like to receive. The customer is responsible for the shipping charges when sending back an item for exchange. We recommend using the United States Postal Service. Their rates are very affordable and they also offer tracking and shipping confirmations. All exchanges are shipped back via standard ground delivery. Q: How do I return items from my purchase? A: If you are not 100% satisfied with your purchase, you can return your item(s) for a full refund within 30 days of your purchase. Clothing items should be unwashed, unworn and all items should be returned in the condition you received them. Your refund will go back on the credit card or back to the PayPal account used when you placed your order. If you would like to send back any item(s), email us at returns@christianapparelshop.com. Q: I received the wrong item or my item was damaged, what should I do? A: If you received the wrong item, an incorrect size or your item was damaged in any way, send us an email at orders@christianapparelshop.com. Please include your order number and specifics on the mistake we made, and weâ€™ll do everything we can to get you the correct item. Of course, since it was our mistake, there are no additional charges! Q: Is my personal information secure when ordering from Christian Apparel Shop? A: During the checkout process, you can use the following payment methods: American Express, Discover, MasterCard, Visa or PayPal. Q: How do I redeem my Gift Card or use a Promotional Code? A: On the shopping cart page, you will see a section for entering your Gift Card code and a section for entering your Promotional Code. Discounts are not redeemable toward previously purchased merchandise, nor are they redeemable for cash. Q: I have an idea for a t shirt design, are you interested? A: We are always up for hearing about new and fresh ideas. 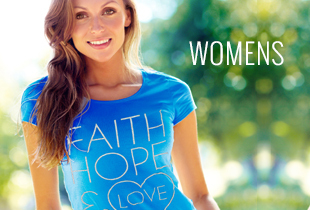 Feel free to contact us via email at info@christianapparelshop.com or by phone at 1-800-716-8331. Q: I have a t shirt or another item I would like to sell, would you carry my item? A: We would definitely be interested in hearing about your idea or product. Please email us at info@christianapparelshop.com and be sure to include pictures of your item and contact information. 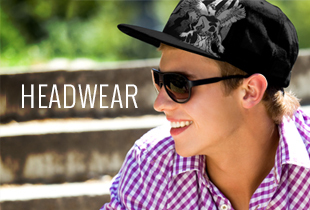 We will review your item and setup a time to discuss the details of your product.